Making wine mig ht be an old-fashioned tradition, but it’s all about the perfect chemistry, and the latest technology is helping vinters refine their process. Researchers at New Zealand’s Auckland University are developing sensors that could aid in winemakers getting the best wine possible as soon as they pick the grapes. One of the researchers, Dr. Paul Kilmartin, says this technology would help ensure that grape oxidation is controlled right away. This is such a cool article. but nothing beats a hand made cup of wine. 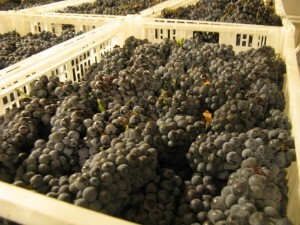 YourownWinery.com helps create your own wine from scratch.